Many brands have been closely associated with the Modernist fraternity over the years. Take the likes of obvious choices Fred Perry and Ben Sherman for example. A plethora of brands will delve into the age old classic of a 'Mod' look from time to time in order to gain popularity perhaps and add new customers of a sussed nature. Anyway 'Charles Caine' are a brand that have been on the rise over the last year or so and what they have produced so far is contemporary menswear with a real nod to that classic Modernist look. Like all great brands they're taking influence from the past and using that to help inspire their very modern take on classic looks and silhouettes. Without further a do let's take a look at some of their key pieces. Shirts are what Charles Caine are quickly becoming very good at. Their initial style was based on a Ben Sherman from 1968, which really strikes a chord with me. In 2019, the shirting market is in dire straits with only the likes of Brutus who consistently make shirts that you'd actually wear. Don't get me wrong there's our trans-atlantic cousins over at Brooks Brothers who make fine Ivy League inspired cloth but they're hard to come by at times... Charles Caine have seized that gap in the market and are producing some lovely stuff to suit all corners of the broad church that is Modernism. I particularly like their shirt named 'Stamford' which is a classic gingham check, button down with all of the essential details including a 'four finger collar with a roll to die for...' very important in my book that! 'Stamford' comes in a range of striking colour-ways; pink, blue, yellow and red which are bound to turn the head of another like-minded soul when passing in the boozer or on the highstreet. Another style I'm really drawn towards is the 'Lyndon' which comes with a 'Spearpoint' collar the kinda thing you would of seen Bowie sporting in 63, cool as... It comes in white, blue chambray and pink & white and would look the business underneath a mohair 3-buttoned suit pair with a pair of Bass Weejuns. 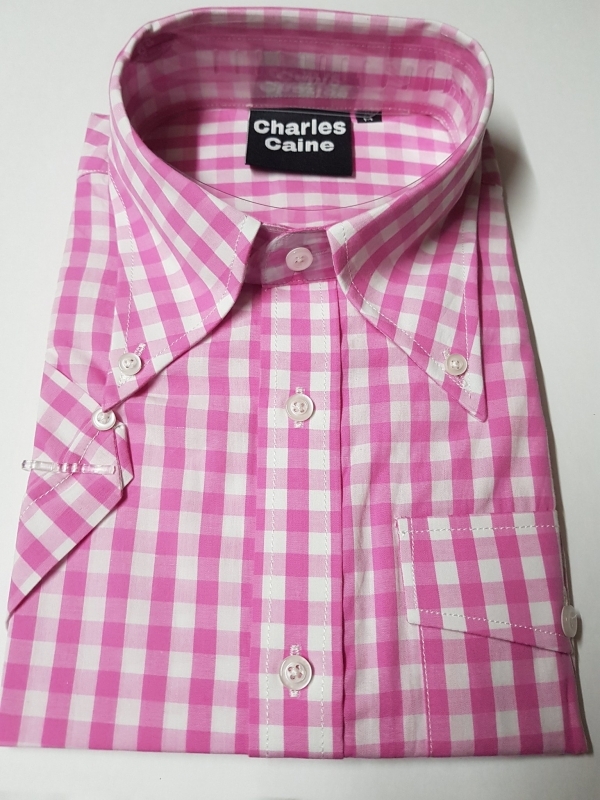 The shirting range Charles Caine offers is first class and will only continue to grow in the coming seasons. Although not officially listed on their site yet, Charles Caine have begun to dip their toes in the water with jackets including some suiting and casual pieces. One which caught my eye was the leather Harrington they are beginning to produce. It comes in fine Italian 'Nappa' leather and looks like it could be very popular on the scene. Baracuta have done similar styles to this over the years (I own one myself) and Charles Caine are taking the G9 as a template and are moving that forward to produce their own model. 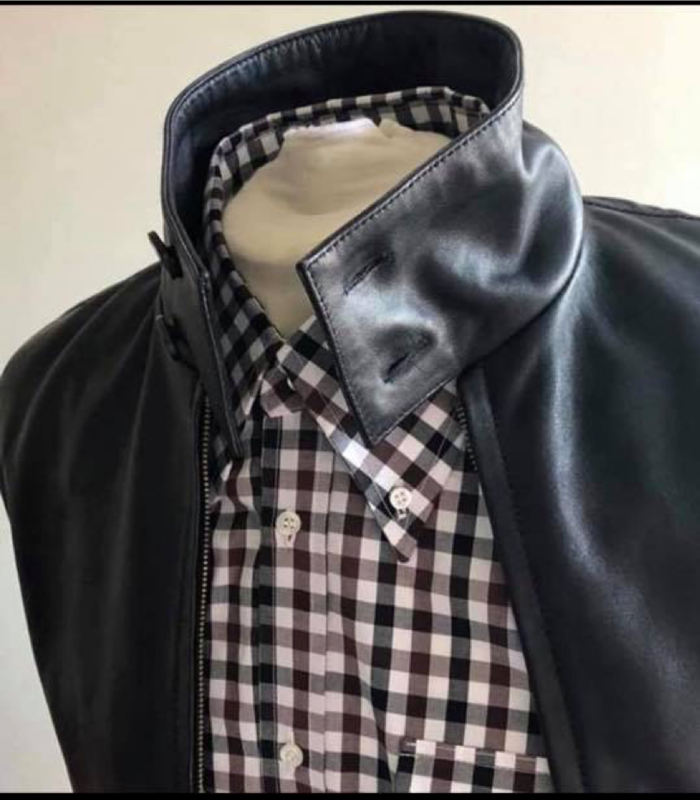 The type of jacket which looks at home with a button down underneath or with some John Smedley knitwear either way it's individual in its own right and I can't wait to see future designs. Take a look at their gear here!